Nerdy KnitTwit | Crafting for love and sanity. Hello, world! It’s been a while. I’ve spent some time away because I had very limited time, and I prefer actual making to blogging about making. Things have calmed down a bit and now I’m back for the 2017 Finish Along. Since I’ve been away so long, I do not have many current pictures of projects, so this post will lack eye candy. I’ve got some old pics I can use, otherwise, you’ll have to be patient and wait until my “Finished” posts for those pretty pictures. Without further ado: The 2017 FAL List! This is my first foray into applique. It may be a bit ambitious, but it’s so cute! I also think that the completed blocks will make a great Christmas present for my parents. The pieces come laser cut and pre-fused, so all I have to do it lay the pieces out, iron to fuse, and machine stitch around the edges of the pieces. Each moth they ship next month’s kit, so I should receive February, March, and April in time for the end of Q1. This quilt has been in the works a long time. We were hot and heavy for a while, and it was blogged about two years ago with potential for a tutorial. Seems I owe you guys. But after some time apart (the single blocks got quite boring after a while), I finished the top! Now it’s time for the quilting. This one has also been kicking around a while. After some time on the shelf, the its been sewn together and got borders and now it’s a completed top! This one is going to get longarm quilted by me with a leaf pantograph of some kind. When I saw the cover of the 2016 Winter edition of Quilts & More, I just had to make this quilt! I’ve loved Sherri’s Dessert Bloom fabrics since she started posting pictures of her projects. 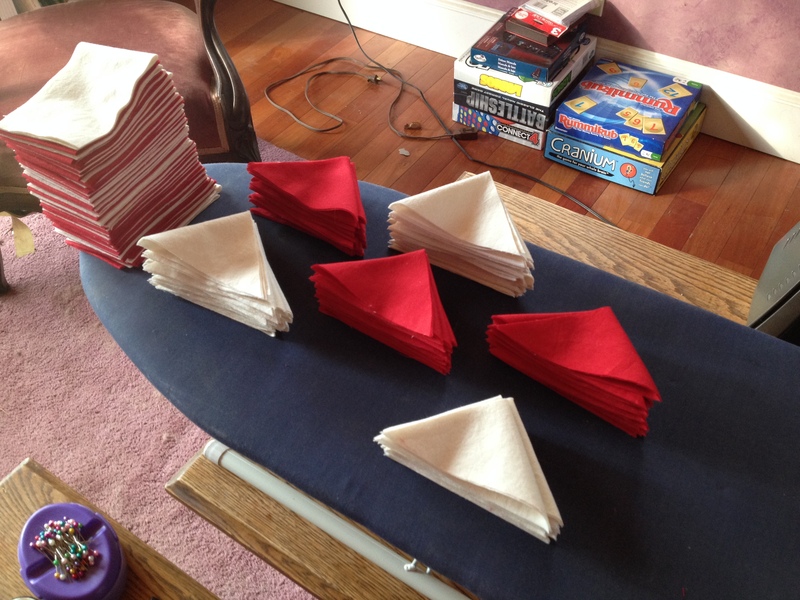 I grabbed 2 layer cakes and a charm pack fir santa to bring me for Christmas and I’ve already stitched all of the quarter-square triangles together. Now I have to cut the sashing and piece the quilt. 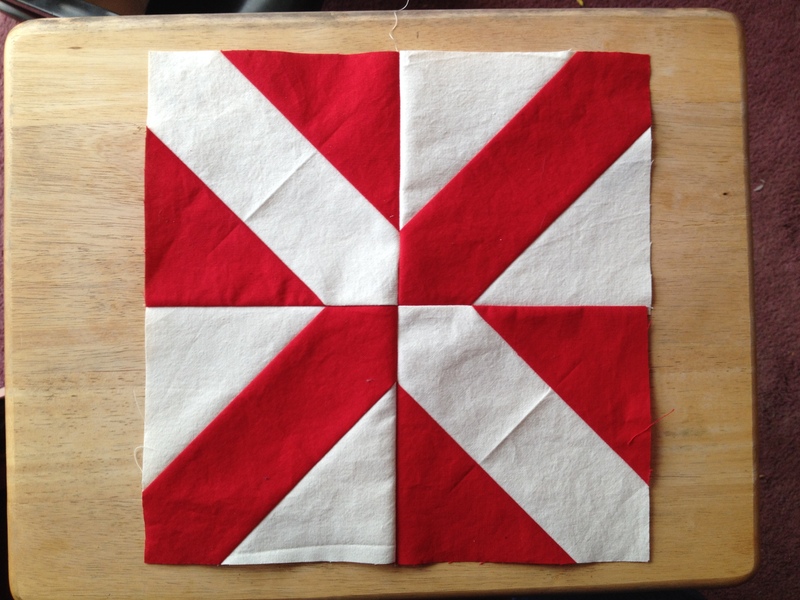 I changed the dimensions a bit so that I’ll end up with a queen sized quilt– hopefully for my parents. This is a necessity. I’ve been freezing through this New England Winter and I need a nice, thick, heavy quilt to keep me warm. 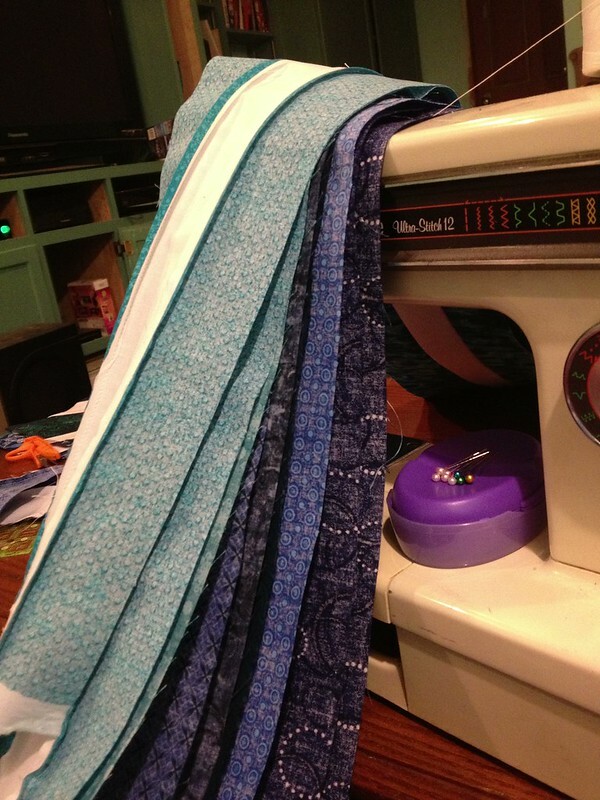 I found the perfect fabrics at my LQS and chopped them and the batting up over the weekend. This could be finished within the week! This one has been on the shelf for a while and, honestly, I’m lacking the inspiration for it. Currently, all the fabric has been cut, sewn and cut again, and about 30% of the fabrics have been sewn back together into their final form. This one isn’t on a deadline. I purchased the fabrics for this one over the summer, but I haven’t started it yet. 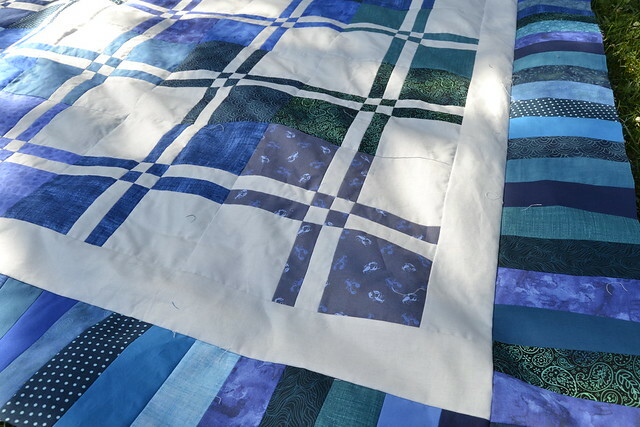 This quilt was cut over the summer and the 25 patch squares are all assembled. All that’s left is finishing the mostly white background blocks and assembling the top, but I’m a bit burned out on this one. 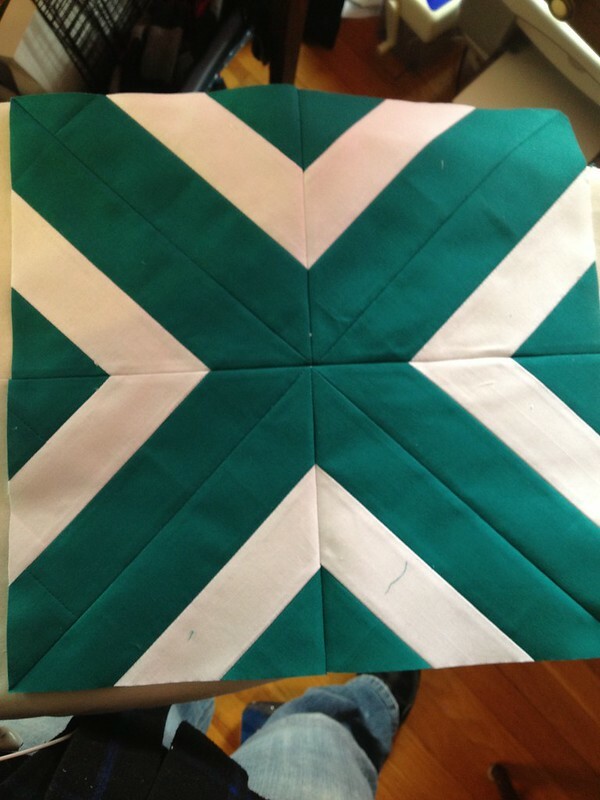 This one got started back in 2013 and I made steady progress on it… until I realized I did my math wrong and had only made half the blocks I intended. This one has been abandoned for quite a while now. This is the first quilt pattern I ever bought. I eventually saved the money to get the ombre fabrics for the top, but was afraid to start it. I have yet to feel the inspiration for this one. I’m back! We’ve finally reached summer break– a time for family, sun, and crafts. I’m so glad to have made it. I know that it seems quilt an ambitious list, but these are the months in which I get things accomplished. This quilt has been a long time coming. When I first started quilting, I checked out a copy of Better Homes and Gardens’ Grandma’s Best Full-Size Quilt Patterns. In it, I found a ton of traditional designs– most of which were a bit too “old” for me– including a red and white lattice quilt I simply had to have. I loved the simplicity and I loved the lines. 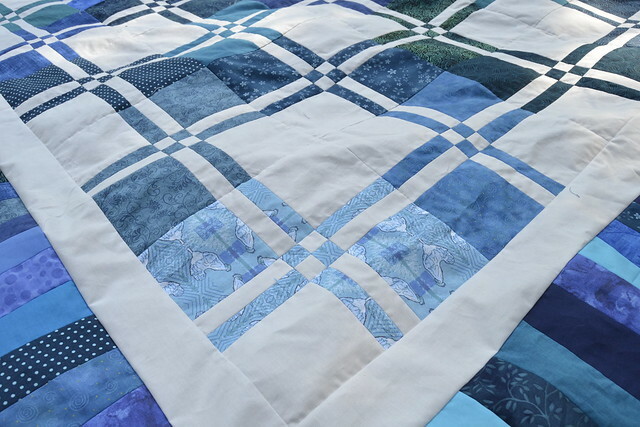 The handquilting on the original made me want to curl right up under the quilt. I just loved it. 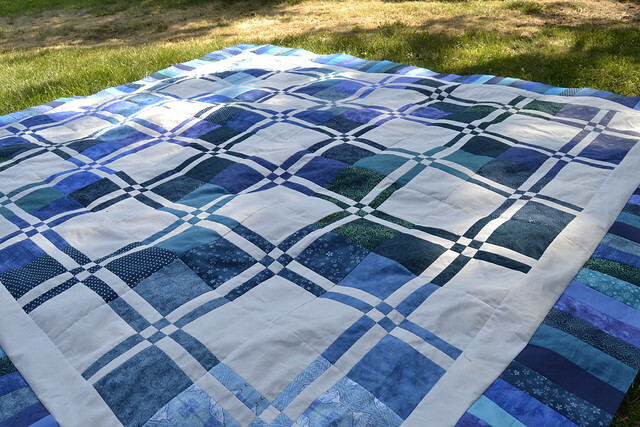 Unfortunately, the pattern was not reprinted in the newest version of the book and it doesn’t seem that many others have shared my love for this quilt– a Google search yeilded no pictures of the original for you to oogle. Then, I pieced and squared-up 84 (about half) of the blocks. 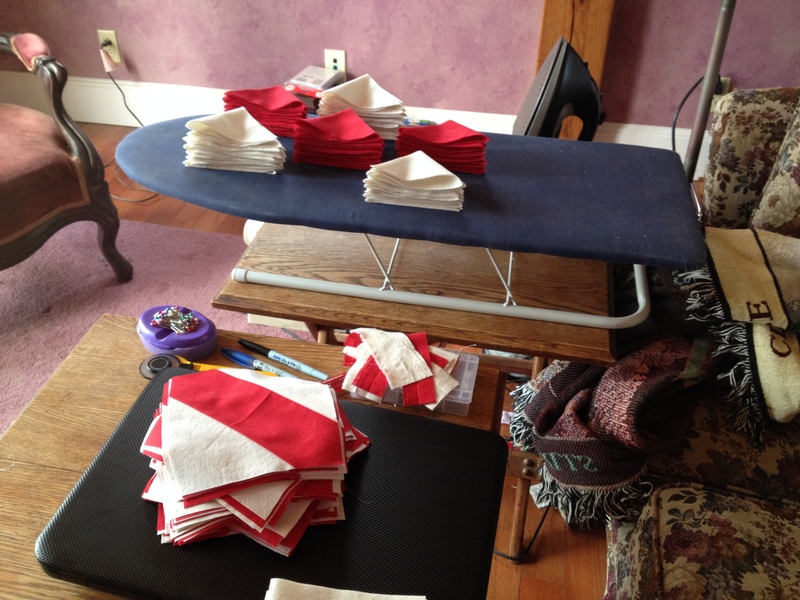 Well, it may not be quilty, but the project getting all the attention this week in my house has been in the backyard. 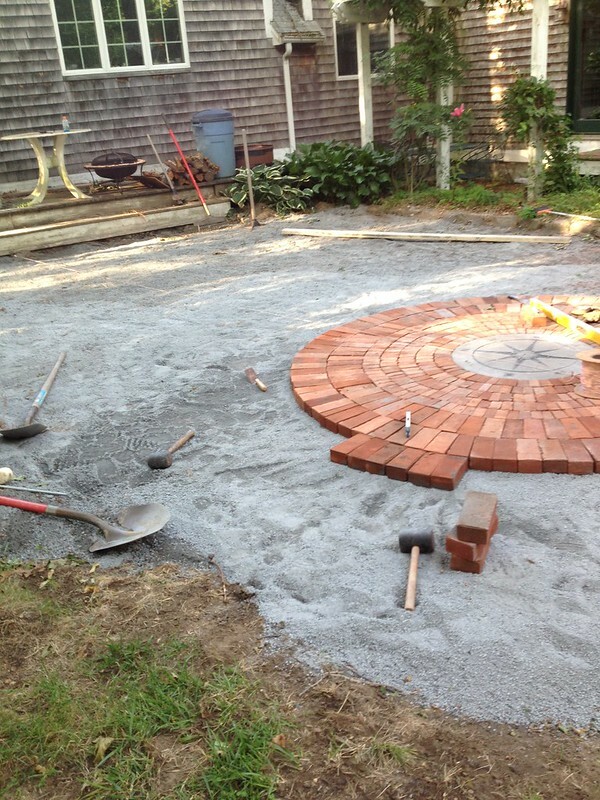 My dad and I have been working to build a patio. We’ve been planning it for years and bought the material last summer, but all sorts of things seemed to get in the way. This year, with no lifeguarding to waste my time, I’ve been able to spend plenty of time at my parents’ house. Sunday, my niece and I laid the first four rounds of quarter bricks while my dad cut and cut on the wet saw. Monday, my father spent most of the morning leveling and re-laying our work. We spent the afternoon finishing the circle. 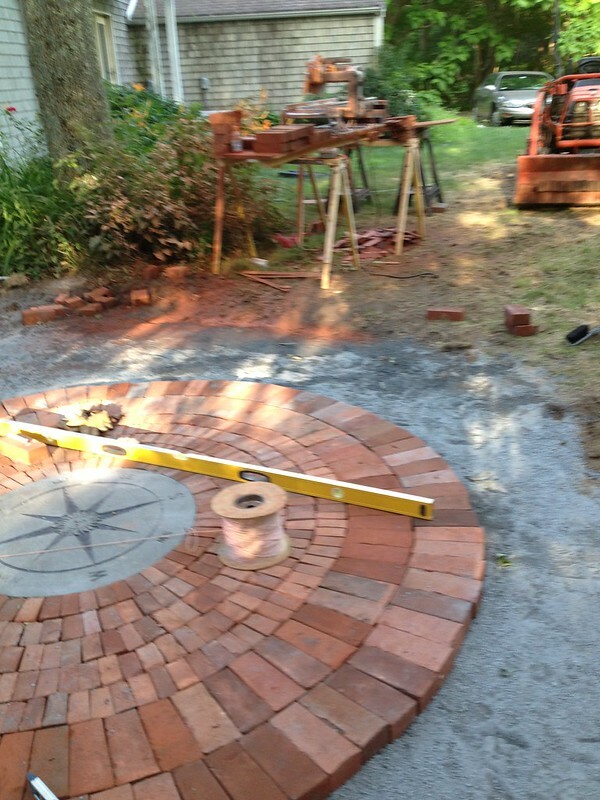 Tuesday we worked in the morning, leveling again, then laying the first round of full length bricks. We started the second, but needed another new blade. Today, we made it through the rest of the second row and on to the third. There’s still a lot of work to go. 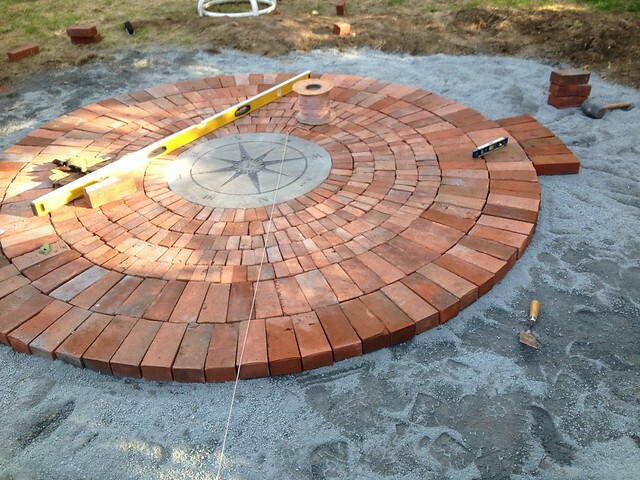 We will finish the circle with a third row of full bricks, put a field stone sitting wall on the outside edge, and fill the distance from the circle to the deck with brick–hopefully in a herringbone pattern. We’re also building a small installation for the grill with some counter space on either side. Wish me luck! I’m linking up with Lee of Freshly Pieced. So, in addition to a summer band and chorus, I will be hiking, trekking, redesigning curriculum, building a patio, building a sewing/quilting table, and finishing things! Heather’s Wedding Quilt (still in need of a proper name)– the piecing is done, but I need to perfect my freemotion skills before I can quilt the giant. Christmas quilt– I was working on a big Christmas-colored star around the holidays, I may whip out that basket and start up again. 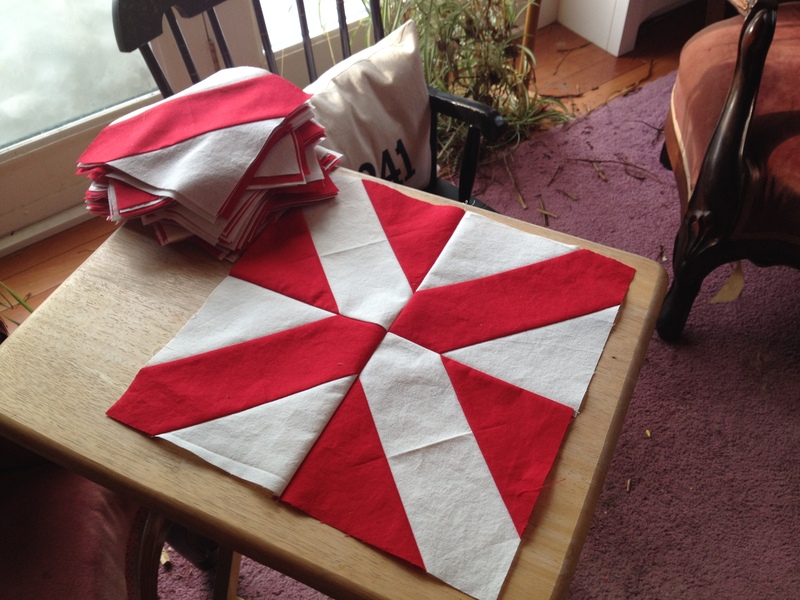 My Parent’s pinwheel quilt– This one’s been on the back burner since last fall. The biggest setback came when I realized that I had only made half as many blocks as I actually needed. I should really pick it up again and get it done. My own Modern Totems quilt– I just adore M-R’s design. A scrap quilt with leftovers from the wedding quilt and/or the reject strip pieces from the first attempt. 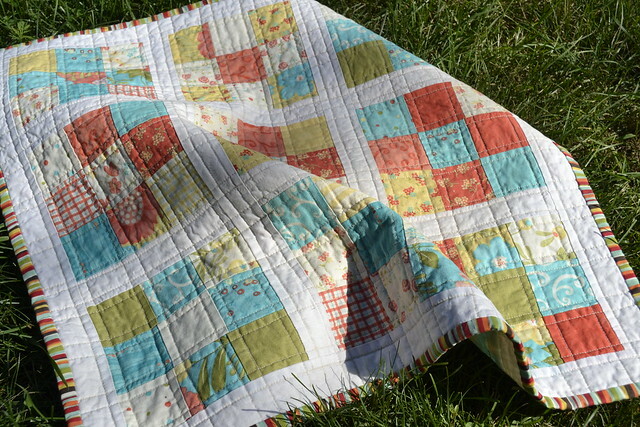 Rainbow Bricks– The quilting on this was put off in favor of new projects, but I want my own quilt! Starshine– Just needs quilting, but I have no ideas for it yet. Fall “Spin Cycle” quilt from connecting threads. This one would be just in time for the new season. Crocheted baby blanket (Also in need of a proper name)– This probably doesn’t count, but I’m working on it so it’s going here. Right now it looks like I’ll need about 10 more rounds to finish (read: 11 hours). Sounds like a great rainy day project with a bunch of movies. An elephant mobile–It will be made of felt and have various cheery fabrics for ears. Totally a stitchy make, so it counts. 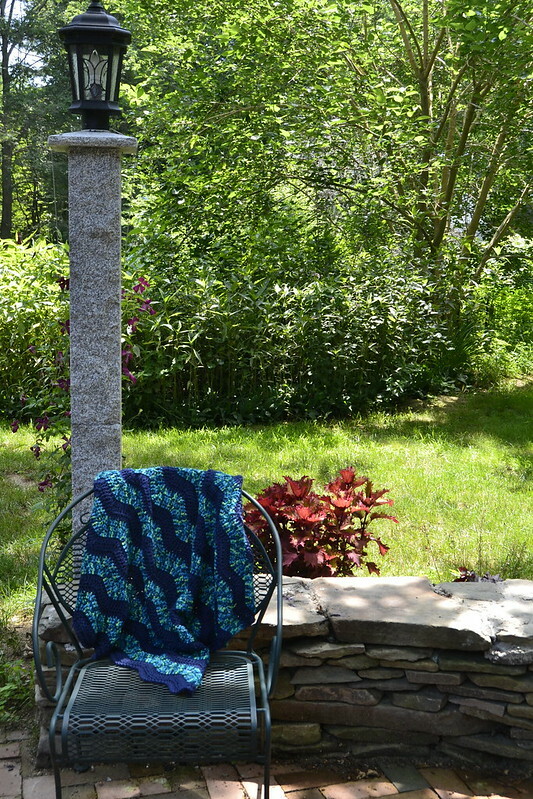 Black speckled wrap dress– Pattern and fabric chosen. Now to cut and sew. Purple knit dress– In the same state as above, although, additionally, I am terrified of sewing knits. The two batik skirts– The purple one is not only set aside, It’s been cut for a year! I just have to stitch it together! 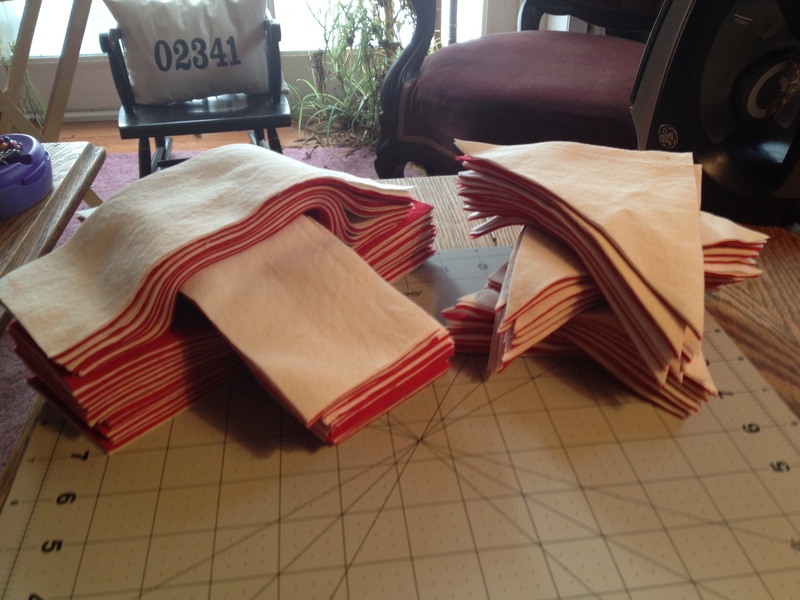 The red-violet fabric is chosen, but not cut yet. The dream white knit top. It is insanely needed to wear with the above skirts. Any of the 5 knit tops I bought fabric and a pattern for this morning. Wow. 6 WIP’s and quite a few clothing plans. I may have until October 6th to work on Q3, but with all my school stuff starting up in September, I’m really looking at a two-month timetable. Just a bit over-enthusiastic, I guess. Sorry this post is free of any eye-candy,my fabrics are spread between two houses at the moment. I know that the list sounds vague, but I promise, I have actually committed to all of these items over the past few years and have fabric and patterns for all of them. Wicked scary, right? I guess I had better get to work!!! Another goal for this summer is to be more present here on the blog. 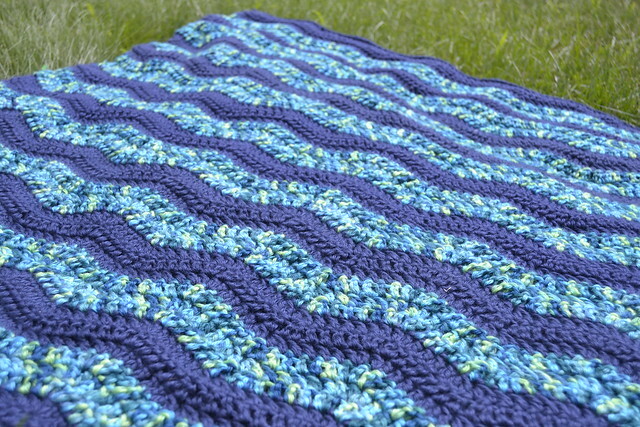 I’m thinking of joining some linky’s like WIP Wednesday at Freshly Pieced. Sometimes, it just doesn’t work out. After a week of deliberation, and quite a few pattern purchases, I thought I had settled on a pattern. I bought some extra fabrics and got to it. After a few test blocks, I thought I was ready. 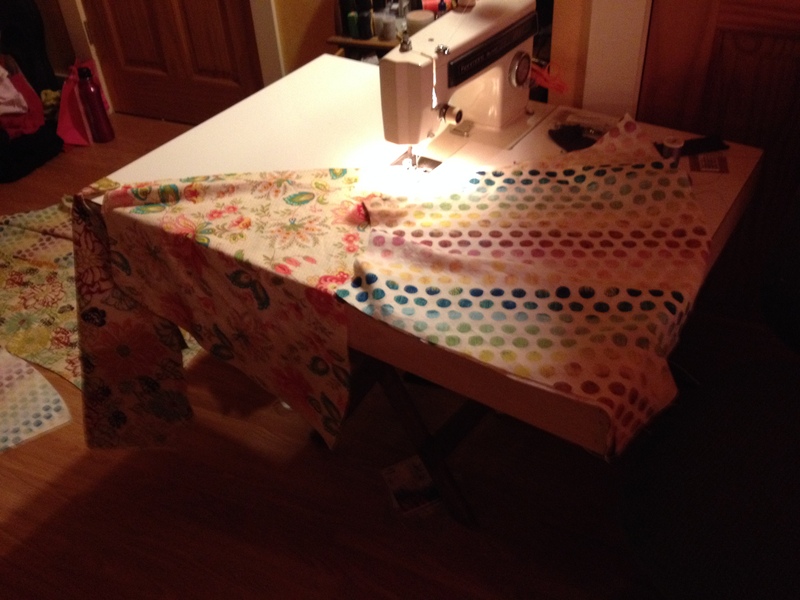 I started to make strip sets–cutting into some very precious fabrics and sewing up a storm. And then I cut into them to make the blocks. And all was well. But, on block number 6 of …lots, I started to think that I didn’t like it. So I panicked, looked for new patterns, and eventually resigned myself to the idea that I may have no idea what I’m doing. But now, I have found a new pattern. I’m going to give the disappearing four patch a try. Let’s hope it treats me better.